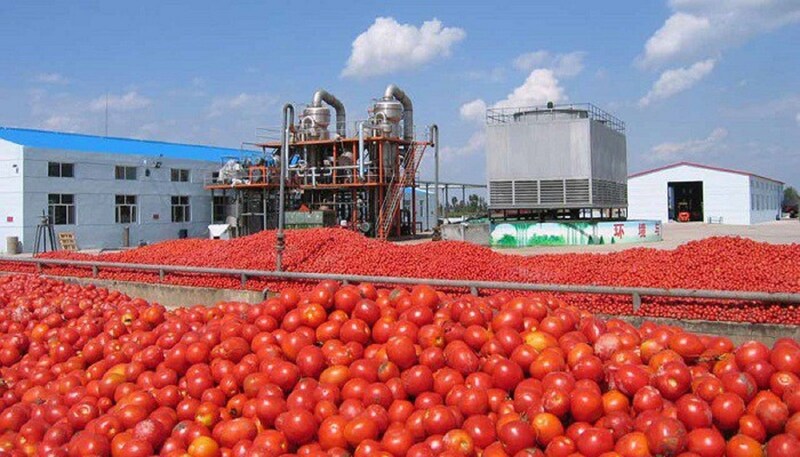 Two years after it shut production, Dangote tomato factory based in Kadawa has re-commenced operations. The firm had been shut due to declining market demand resulting mainly from dealers’ dependence on foreign imports and smuggling activities. The Managing Director of Dangote Tomatoes Farms, Sani Kaita, said factory operations resumed to meet local demand after reaching an agreement with farmers on pricing, which was another factor threatening production. Back in 2016, the tomato farmland in Kano state was infested by tomato absoluta, which cost tomato famers about 2 billion naira, a development that also contributed to the shutdown of the factory in 2017. As a result of the incident, many farmers became disinterested in farming the crop. Kaita assured that a new agreement will create a hitch-free business season for both the Dangote tomato processing factory and tomato farmers. “We have reached an agreement with the three stakeholders in tomato production. we have resolved to offer what the open markets offer subject to review every two days and I am happy that the growers have been cooperating because we have since started. “It will interest you to know that the company has made commitment to adhere to the agreement reached and also hope to have a hitch-free business season between us”. In addition to the agreement with tomato farmers, the Nigerian government’s policy on tomatoes is likely to boost revenue for the factory. The ban on tomato paste importation and the 50 per cent tariff for the products is expected to boost the confidence of investors. The local production of tomato is not enough to meet local demand, but the government’s policy is designed to revive and encourage the growth of the sector. The multi-billion dollar factory resuming operation shows the confidence the company and the tomato farmers have in the government’s policy drive. One is issue to address is the fact that before the locally farmed tomatoes get to the market and factories where they can be utilised, about half of them are destroyed. This further worsens the troubles of the local producers, who are struggling to meet the country’s domestic consumption rate of 2.4 million metrics tonnes per annum. The shortage is covered with the importation of about 500,000 metric tonnes, seeing as Nigeria only produces about 1.8 million metric tonnes, despite the fact that it is Africa’s second largest producer. Many investors are hopeful, that as the factory resumes operations, it will be able to survive the difficulties that pushed it out of the market the first time.